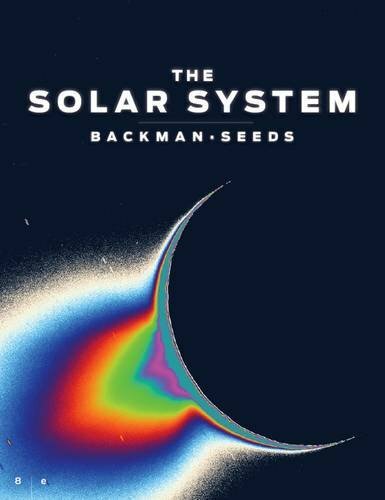 With this newly revised Eigth Edition of THE SOLAR SYSTEM, the authors' goals are to help you use astronomy to understand science--and use science to understand what we are. Fascinating, engaging, and visually vibrant, this text will help you answer two fundamental questions: What are we? And how do we know? evolution of the solar system's Kuiper Belt. With Mike Seeds, he also coauthored HORIZONS: EXPLORING THE UNIVERSE, Twelfth Edition (2012); UNIVERSE: SOLAR SYSTEMS, STARS, AND GALAXIES, Seventh Edition (2012); and FOUNDATIONS OF ASTRONOMY (2013), all published by Cengage Learning. Dr. Backman earned his bachelor's degree from Massachusetts Institute of Technology and his doctorate from the University of Hawai'i.